Don’t fret about your favorite TGIT TV show being cancelled. Today is early renewal day in Shondaland. Although it’s not yet up on the press site, ABC has renewed its How to Get Away with Murder TV show for a fourth season. 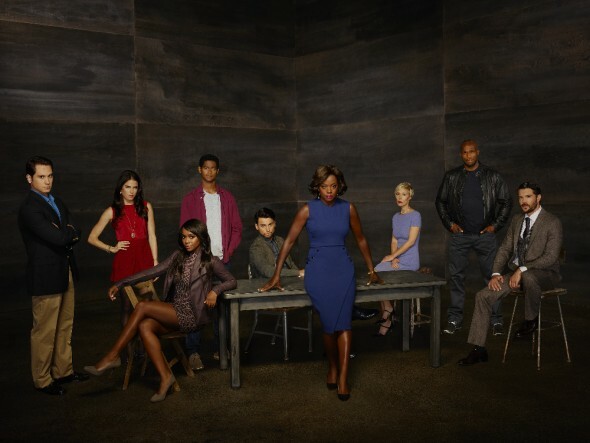 A Shonda Rhimes crime drama, How to Get Away with Murder stars Viola Davis, Billy Brown, Alfred Enoch, Jack Falahee, Aja Naomi King, Matt McGorry, Karla Souza, Charlie Weber, Liza Weil, and Conrad Ricamora. Today, ABC also gave early renewals to Shondaland’s other TGIT shows, Grey’s Anatomy and Scandal. What do you think? Have you been watching season three of the How to Get Away with Murder TV show? How would you have felt if ABC cancelled this drama series instead of renewing it for season four? I’m so happy that ABC has renewed How To get Away With Murder for another season! It’s my all time favorite. Can’t wait to see what in store for this season. Thank you ABC. They can’t leave us hanging. I need a resolution. I’m hooked.